Most of us have experienced that ‘sinking’ feeling when water won’t drain away. You may have had some warning signs, the sink takes longer to drain, and strange odours or your feet are standing in a pool of water in the shower. Have a go at the following tips before you call out and have the expense of a plumber and you just may unclog that drain yourself. Obviously it’s easier to avoid clogs in the first place and to help do that pour in equal parts of vinegar and baking soda (about half a cup of each) down your sink on a regular basis. Let the mixture sit for a few minutes before running some warm water down the drain. Lemon juice also works well. In all the tips below remove as much standing water from the sink as possible. You are not likely to have plumber’s tools around the house so you can use a wire coat hanger by straightening it and bending the end to create a small hook. It is simple but often effective. Insert it into the clogged kitchen sink to push through or pull out the clog if you can reach it. Be careful not to scratch your sink with the wire. When you have cleared as much as you can run the hot water and it should clear clog nicely. Here at New Design Kitchens https://newdesignkitchens.co.uk/ hope that you don’t need to use any of the above tips but if you do ‘good luck’ hope they work for you. You are probably not aware and haven’t really thought about it before but kitchen sinks come in many options and shapes. Undermount kitchen sinks are installed beneath the countertop. Unlike drop in sinks they don’t collect debris and grime above the counter seal. This type of sink works best with granite and solid surfacing because it’s important that the edge of the countertop be watertight. Drop-in sinks are another common sink option. The sink is dropped into a hole in the countertop and the lip of the sink rests on the countertop. Apron-front, or farmhouse sinks, these types of sinks have become increasingly popular and are a real focal point feature in a kitchen. Double basins offer one basin for cleaning and one for rinsing. Bowl depth typically ranges between 7″ – 10″ in depth. Deeper sinks allow more room for items like tall pots; however, deeper sinks can also be problematic for your posture and difficult for little ones to reach into. Once you’ve decided on the right sink for you where do you put it? Unless you are having a new kitchen the best place is where your old one was. Repositioning a sink can be expensive. If you are replacing your kitchen consider where the best place is to make your kitchen flow more easily. Dishwasher placement also should be considered. It’s best for the dishwasher to be on one side of the sink. New Design Kitchens can help you select the right kitchen for you. We are asking the question are kitchen designers worth it? 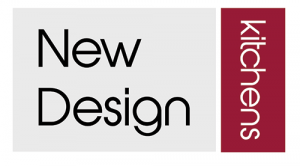 Well here at New Design Kitchens we have a wealth of knowledge built over many years in the kitchen design business and we certainly feel we are worth it. Making your dream kitchen as kitchen designers is our business and we can make the process so much easier than going it alone and save you from design pitfalls. We work in partnership with our clients to ensure that the completed kitchen is finished to their satisfaction. After all this is a major investment not just financially but to the functionality and the desirability of your home. At New Design Kitchens we have access to fantastic planning tools and technology and we are always looking at new trends and new materials. Our kitchen design expertise can save you a lot of time, money and long-term disappointment. We work with outstanding quality manufacturers, which strengthens our confidence that you will be entirely delighted with the end result. Take a browse around our website https://newdesignkitchens.co.uk/ at some of the fabulous kitchens we have to offer. Our two-storey showroom is a great place to come and have a look around for inspiration and we offer friendly no obligation advice. You will already have a good idea of the ups and downs of your current kitchen and we will be at hand to help you get the best out of the space you have. Hopefully we will be able to introduce you to options you have not even considered. You may think that you cannot afford a New Design Kitchen but please speak to us we can adapt ideas and appliance selection to fit most budgets. Obviously you must be realistic but we do have the experience and know how to stretch you hard earned pounds as far as they can possibly go. For example keep your appliances located where they are currently situated if possible as changing your layout will certainly have significant additional costs. Whatever your budget, whatever your ideas for the perfect kitchen are get in touch and let us have the pleasure of assisting you in the design of your new kitchen. Visit our showroom in Cannock, call us now on 01543 570468 or email with any questions you may have info@newdesignkitchens.co.uk. Firstly what is a kitchen island? An Island is a functional freestanding piece of cabinetry that provides additional countertop space. An island can be made to any dimensions allowing it to be sized according to the space you have available. You can also purchase mobile islands to increase a kitchens preparation area. What do you need from the space? You can use an island for the simple reason to have more storage space. However, you can also install a hob or sink into your island, divide a kitchen and dining room or provide a breakfast bar to additional dining area. The options are only limited to your imagination. You do need to consider what you want to gain from your island to allow your kitchen designer to help you make the best choices. You can simply purchase additional base cabinets from your kitchen supplier to ensure that all the kitchen features are exact matches. As kitchen islands have become more popular designers are now placing more focus on their development by adding sinks, Quooker taps and cooking surfaces to them. Folks have also described a large permanently placed table as an island, though a true island should stand at a countertop height that is identical to the entire kitchen. Islands can be made in many dimensions but if your kitchen is really small you must consider whether you will be able to open cabinet doors and dishwasher doors. If you don’t have the room, all is not lost… you could consider a kitchen peninsula instead. Rather than being placed in the middle of your kitchen it sits to one side. Normally at the end of a work surface. It still gives you the benefits of an island. With careful planning and consideration your kitchen island will become a real asset to your kitchen and you will wonder how you ever managed without one. At New Design Kitchens we can use all our experience to guide you ensuring you get the most out of your kitchen design. Get in touch now for some friendly advice. Contact us or visit our two storey showroom Octagon House, 236-238 Walsall Road, Cannock WS11 0JL.